/ Modified feb 22, 2019 9:38 a.m.
We talk with different players in the state's energy sector to learn where we are with solar power production. Your browser does not support the audio element. Proposition 127 would have amended Arizona’s constitution and required energy utilities, including Tucson Electric Power, to get half their energy from renewable sources by 2030. The current renewable energy standard requires 15 percent by 2025. Arizona utilities, and their parent companies, opposed the measure, dumping millions into the campaign against it. Voters overwhelmingly rejected the proposal last fall. Yet a new poll directed by the Arizona Public Interest Research Group's Education Fund shows Arizonans overwhelmingly support growing renewable energy resources and efficiency in the state. Executive Director Diane Brown joined The Buzz to talk through the poll. Nearly 90 percent of likely Arizona voters believe the growth and use of renewable energy, such as solar and wind, should be a priority for the state. Slightly more than 8 in 10 (82 percent) think it is very (56 percent) or somewhat (26 percent) important for Arizona to promote the growth of its own clean energy sources, such as wind and solar power, versus importing fossil fuels like natural gas and oil. Nearly 7 in 10 (68 percent) likely voters in Arizona agree that regulations applied to utility providers — such as Arizona Public Service, Tucson Electric Power, UNS Energy Corporation or the Salt River Project —should be increased to ensure they are offering energy efficiency to all their customers. A majority of Arizonans (64 percent) agree that if the federal government fails to address the issue of climate change, the state or local government has a responsibility to address the problem. The Buzz talked with Joseph Barrios of Tucson Electric Power about the utility's current and future solar energy plans. Barrios says, currently, about 14 percent of the power that TEP delivers to customers comes from renewable resources, including wind, thermal and large-scale solar projects. Under its "30 by 30" plan, TEP hopes to have enough renewable energy by 2030 to serve the annual electric needs of about 350,000 Tucson homes. We also talked with Kevin Koch with Technicians for Sustainability, a local solar installer. Koch says his company supported Prop. 127 because they believe that we need to see more rapid adoption of renewable energy in Southern Arizona. 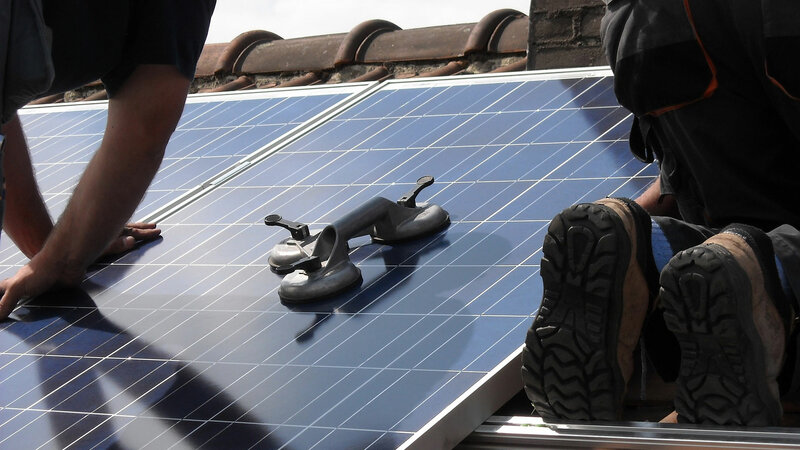 Koch says the changes to net metering regulations have made financing more difficult for individuals interested in rooftop solar, even while the payback period has remained more or less the same. As to the future of solar in the state, Koch says the rapid change in battery technology and software will help the industry continue to develop, but state and federal policy decisions will play a large role in determining the pace and level of renewable energy adoption. Arizona Public Service, the state's largest utility, announced this week that they'll add 850 megawatts of battery storage and 100 megawatts of new solar generation by 2025. Members of the Arizona Corporation Commission, which regulates utilities in the state, have introduced some proposals to mandate more renewable power. The commission will hear public and stakeholder input on the issue next week. We'll continue to follow the story and bring you more in future shows. Editor’s note: In the interest of full disclosure, Technicians for Sustainability is an AZPM underwriter. In his interview, Kevin Koch mentioned a renewable plan put forward by Arizona Corporation Commissioner Bob Burns. That plan should have been attributed to Commissioner Andrew Tobin.